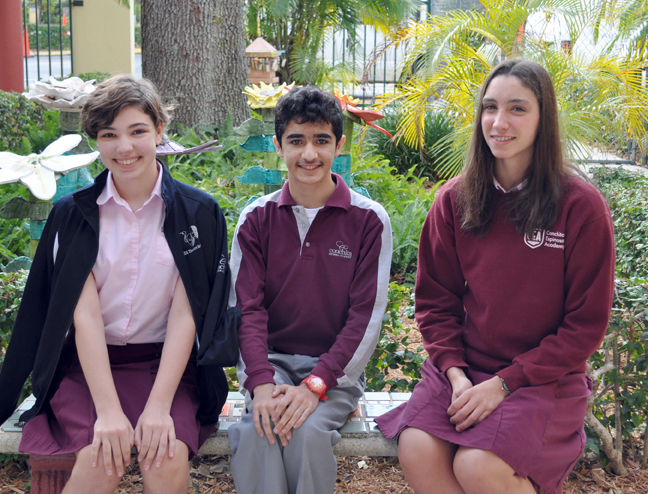 Congratulations to our 8th Grade ISSF STAR Students, Emma Solorzano, Isidoro Vilariño and Lilianne Iglesias! Each year the Independent Schools of South Florida (ISSF) allows each school to designate up to three students as STARS. These students are those who have shown outstanding ability and achievement in academics, sports, community service, the arts, and/or effort. Emma Solorzano was selected for being an outstanding example of integrity, maturity, and dedication to the arts. Isidoro Vilariño has demonstrated extraordinary effort, courage, independent thinking and creativity. Lilianne Iglesias has proven excellence in leadership, scholarship, and service. Emma, Isidoro, and Lilianne, we are so proud of you and the people you have become! You are Conchita´s legacy!